Transformative Living assists healthcare organizations and health related groups to adapt to changes in patient care by creating, developing, and managing integrative health programs that address the body, mind, emotions, and spirit. 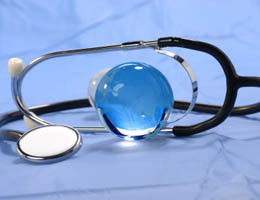 This is done through assessing the needs of the organization and the community it serves and designing a program that offers appropriate complementary and alternative medical (CAM) treatments and services such as hypnosis and guided imagery which have scientifically established benefits and safety. The National Center for Complementary and Alternative Medicine (NCCAM), which is a specialty area within the National Institute of Health (NIH), defines CAM as "a group of diverse medical and health care systems, practices, and products that are not generally considered to be part of conventional medicine." Although CAM encompasses both complementary and alternative forms of medicine, there is a distinct difference between the two. Complementary medicine is used with conventional medicine while alternative medicine is used in place of conventional medicine. For instance, complementary medicine might rely on hypnosis and guided imagery to help lessen a patient's discomfort and anxiety before and after chemotherapy treatments or surgery. Alternative medicine on the other hand might include using special herbs or supplements to treat patients with cancer rather than having them undergo surgery, radiation, or chemotherapy. According to a 2007 NCCAM survey, about 38% of all adults (4 in 10) and 12% of all children (1 in 9) are using some form of CAM. This growing interest and use of CAM by the general population is causing more healthcare organizations such as hospitals to investigate the development of their own integrative healthcare programs. To ensure patients gain the most benefit from conventional medicine and CAM, Transformative Living works with healthcare organizations to develop integrated healthcare programs that combine CAM treatments that have scientifically established benefits and safety with conventional medical treatments. By integrating the benefits of each, the internal healing resources of the patient are mobilized to complement the external treatment being administered.